I’ve decided to bring back my Current Look posts where I share my go-to makeup routine on a seasonal basis, since that happens to be how often I change things up. It’s giveaway time! I wanted to share the awesomeness that is the Tarte Showstopper Clay Palette with you. The Current Look Summer 2015 Giveaway will run until Saturday, September 5, 2015 at 6 PM CT. The giveaway is open internationally. All entrants under the age of 18 must have parental permission to enter. TWO winners will receive a Tarte Showstopper Clay Palette. 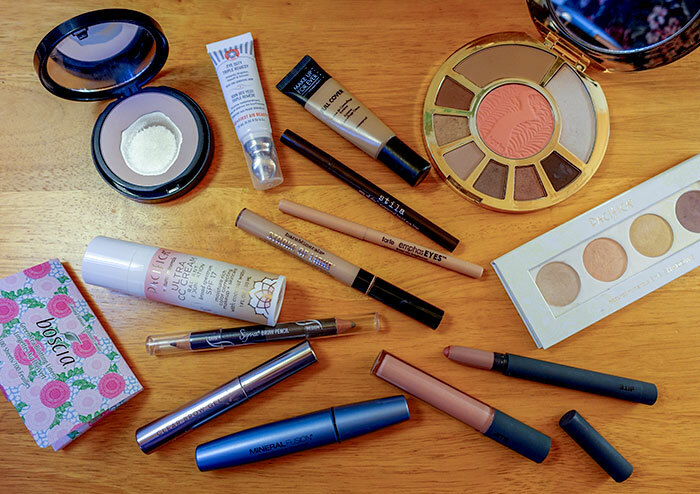 I’d love to hear what your current favorite makeup look for summer is if you care to share! Congratulations on your pregnacy, you looks radiant! Thanks for the great giveaway!! I love these videos Jen, I’m a makeup “dummy” and I’ve really learned a lot from you, and I love how subtle your makeup always looks. Thank you! Loved the summer make up video. Thank you so much for sharing. I love eye shadow so much but have the worst time, and you encourage me and give me hope!! Love the giveaway! I’m also loving your new channel and all the new content. Congrats to you and Don both on your pregnancy! I love your videos and vlogs Jen! I have been watching you for a long time and want to tell you I appreciate all the hard work you put into them. You are very professional but at the same time you add lots of fun, variety, and information to your videos. I almost think of you, Don and Winnie as part of my family. And I CAN’T WAIT TO SEE YOUR LITTLE DARLING SWEET-PEA! I am SO happy for you! And when you told us you are now feeling her movement, I almost cried with happiness for you! Motherhood is such a wonderful blessing and you are experiencing something that will change you forever! Also, I bought my first Erin Condren life planner and can’t wait to get it! Thank you for this lovely video. Really enjoyed watching your video, you re so pretty. Thank you so much for the giveaway and for opening to the international. Hope you will come and visit my new blog,you re very welcome. Hi, thanks for showing your makeup application process! My new favorite product came about when I would be using a face product and then gradually end up with an allergic reaction, forcing me to find another option. After trying to narrow down the ingredient I was reacting to I got tired of ingredients I could not read which tended to be questionable at best. So I searched and found the following recipe at wholenewmom.com. It is listed as a makeup remover, but I have found it works as a face cleanser as well. I would recommend going to the website to read the recipe for yourself for further instructions. This recipe is cost effective, easy with good quality simple ingredients. I love knowing what is in my cleanser!!! Hi Jen, I also used to love the Stila eyeliner for its felt-tip style and ease of application, but then I had one or two dry out prematurely on me. Since then I’ve become a huge fan of Kat von D’s tattoo liner…same style, super easy to apply, and very waterproof! I’ve heard lots of great things about that, too! great everyday look. I have been eyeballing this palette….might be one to pickup. Love the colors on you. Thanks for another generous giveaway. You are so pretty that I didn’t realize at first that you didn’t have make-up on in the beginning of the video! I have been eyeing this palette for awhile. Thanks for sharing, I like watching your makeup videos, actually all your videos! Love how your face always looks fresh and natural.